You can collect funds efficiently from customers and subsidiaries in 70 currencies and transfer them back into GBP with great exchange rates. When combined with our risk management strategies, this means you have a stable rate to repatriate your overseas sales and know the exact amount of revenue that will make it back to your accounts in the UK. Local currency collection: We can collect funds in 70 currencies, many of which are not commonly collected by banks, across many emerging market currencies. 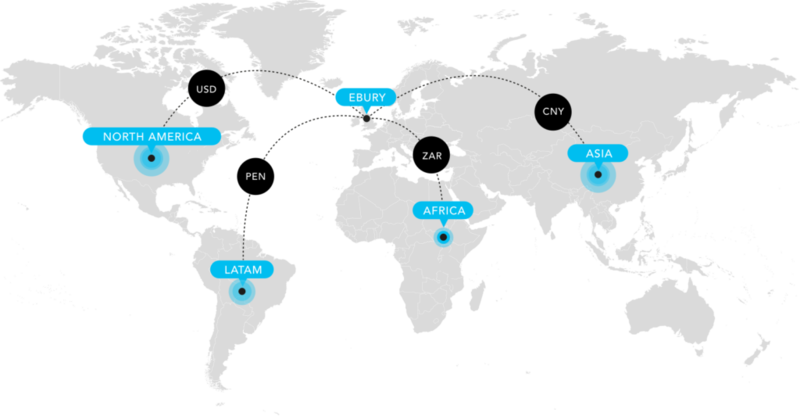 Ebury Currency Account: You can collect funds from clients and supplier in local currency to an account in your name, or use our competitive exchange rates to transfer funds to another business account..